Here is Complete Guide for Server OS Upgrade, Ubuntu 16.04 LTS from 14.04 LTS. This guide is for Cloud Server & VPS with instructions on recovery. Update : It is suggested to follow the guide Ubuntu server 14.04 to Ubuntu 16.04 for Live Servers Running Some Web App Like WordPress and upgrade kernel. Upgrades between LTS releases are not enabled by default till the first point release. It is recommended to understand why you should read this guide – PHP 5 will get auto upgraded to PHP 7. Our old guides and paths will not work. New in 16.04 is the kernel crash dump mechanism which now supports remote kernel crash dumps. It is now possible to send kernel crash dumps to a remote server using the SSH or NFS protocols. Will I Go For Server OS Upgrade Ubuntu 16.04 LTS from 14.04? Ubuntu 14.04 LTS support will end one day. Additionally we all also update all our guides from Ubuntu 14.04 LTS to Ubuntu 16.04 LTS. If you do not upgrade, it is actually less secured in long term. For too much complicated setups, you may remain at Ubuntu 14.04. Will I Go For Server OS Upgrade Ubuntu 16.04 LTS from 14.04 or FRESHLY INSTALL 16.04 LTS? We actually recommend freshly reinstalling. As the work is fully manual for setup, you can try upgrade keeping all the backup ready upon failure. OpenVZ may not properly upgrade and it is better to ask your host via ticket. Fresh install is always good. But work is not less. You can install Ubuntu 16.04 LTS on a fresh installation and normally proceed for setup. That will prevent any downtime. We recommend to have full file level backup, we have guide on backup to Dropbox from command line on SSH. How you will take that backup for your web software, that is web software specific. This way is foolproof. Still, you must check the database backup, like in case of backup for WordPress. Backup without checking whether working or not is bad idea. Secondly, you should have a list of the installed softwares on your current server, for that purpose follow this guide to get a list of currently installed softwares. And finally, after taking backup, think carefully if you forgotten anything kept on any directory. Steps and Commands For Server OS Upgrade Ubuntu 16.04 LTS from 14.04? That ends the setup. If you are stuck in update, you should ask at Ubuntu forum or StackExchange. This Article Has Been Shared 8463 Times! 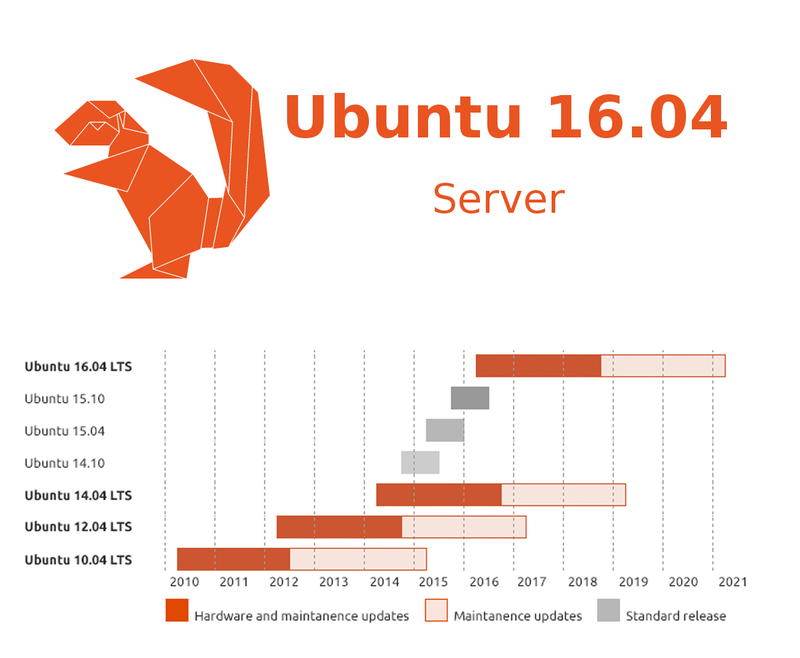 Cite this article as: Abhishek Ghosh, "Server OS Upgrade : Ubuntu 16.04 LTS from 14.04," in The Customize Windows, May 9, 2016, April 21, 2019, https://thecustomizewindows.com/2016/05/server-os-upgrade-ubuntu-16-04-lts-from-14-04/.